Roger Federer reached his 30th Grand Slam championship final – and his seventh at the Australian Open on Friday night. The defending champion, a five-time titlist at Melbourne Park, was leading Hyeon Chung 6-1, 5-2, when the Next Gen ATP Finals winner retired on Rod Laver Arena. Despite a lack of pace on serve, Chung maintained his position on the baseline as Federer tried to lift the power level early to break in the first game. Unsure of Federer’s service patterns, Chung continued to fight, but under a closed roof on Rod Laver Arena – as a result of rain – the Swiss star’s confidence grew in the controlled conditions. Federer, who had a closed practice earlier, worked on taking pace of the ball in the session. 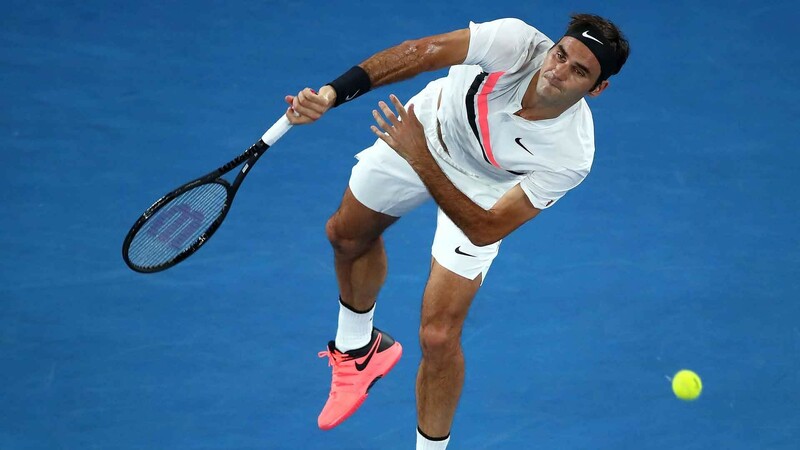 He moved to a 4-1 advantage when Chung struck a forehand long, and two games later – after Chung fired down an ace, then a double fault – Federer converted his fifth set point opportunity to take the 35-minute opener. Federer hit only 32 per cent of his first serves into court, but his 14 winners – and drawing Chung to the net – did the damage. Federer continued to show Chung the kind of level he needs in a major semi-final and broke for a 3-1 lead courtesy of a backhand winner past his Korean opponent. Chung received on-court treatment for a blister on his left foot after the fifth game – having won 19 of 51 baseline rallies. Two games later, Chung walked to the chair umpire to end the 63-minute encounter, the pain obviously too much.